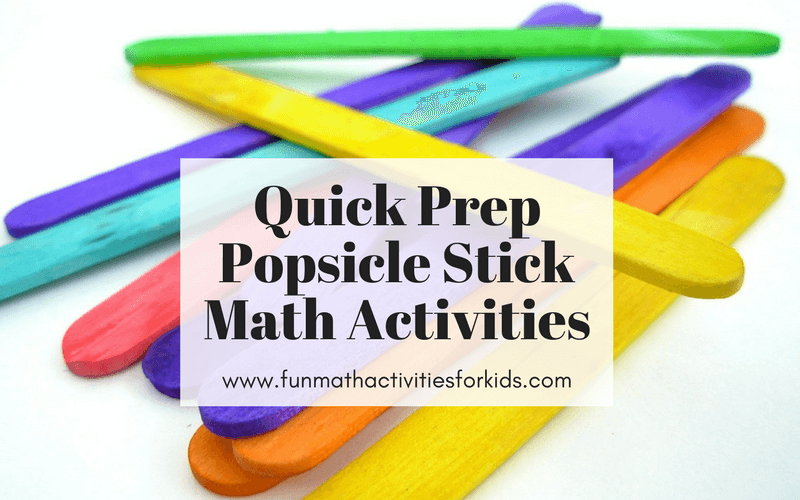 Need a quick prep ideas for math activities? If you remember me mentioned about popsicle sticks being my favorite math materials, yes it still apply until now. 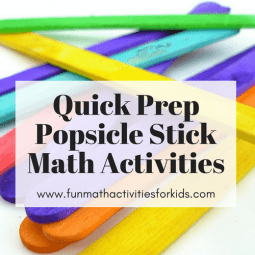 Popsicle stick math activities are soooo versatile, you can come up with many different topics to be learnt form using this inexpensive supply. Learning objectives: Counting to 10, color grouping, number sequencing. Miss U (3y 1m) just started learning to count. She already recognised the numerals from 1 to 10. She already knew how to show me the numbers 1 to 5 using her fingers (6 to 10 is a bit trickier for her left hand fingers). So I thought I can introduce her on counting to ten. rials, how children were introduced to the concrete concepts of quantity before continuing to the abstract context of ‘numbers’. They I searched further about their math materials and how they use it during the lesson. One of them is the spindle box method. Montessori spindle box is a set of two boxes. One box holds 45 wooden spindles, the other one is an empty wider box divided into 9 compartments in it, labeled from ‘0’ to ‘9’. The child would then put the spindle into each compartment starting from ‘0’, with the number of spindles to follow according to the numeral labels. Basically the main idea is, for the child to recognise the quantity, of ‘how many‘. So I recreate similar ideas, but with popsicle sticks instead of the wooden spindles. Here I used small disposable plates as the containers. I also label each plate with the numbers in three forms; the numerals, the wording in English, and the wording in Bahasa Indonesia. This is also to help Miss U with her reading vocabularies. I used these colored popsicle sticks, and asked her to group different color for different plate. This also developed her skills in grouping in colors. And this what my daughter and I did. Then, “Now can I have two – pink sticks please?” And so on and so forth. Of course sometimes she needed help to count the bigger numbers. The challenge for her was, to be able to count correctly, to avoid skipping any sticks or double-count some sticks. 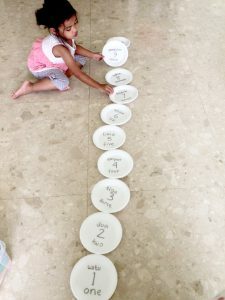 When she got bored with the sticks, she played with the plates, arranging them in one line. Here, practicing her understanding of number sequence. 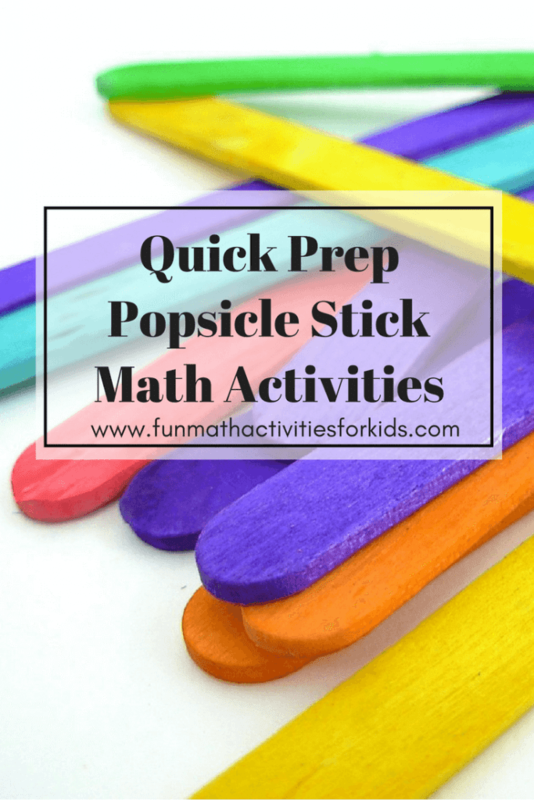 Have you tried using popsicle sticks with your kids? 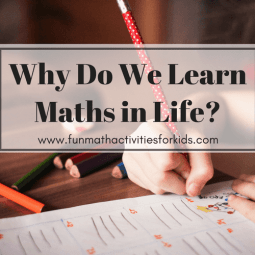 Why Do We Learn Maths in Life? 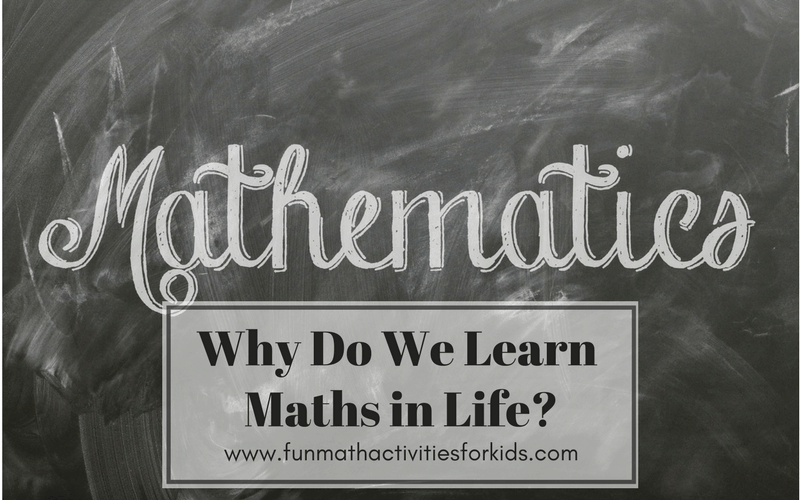 Have you ever thought why do we learn maths? According to this survey, many Americans report feelings of anxiety and frustration when faced with having to do math. Nearly a third of Americans (30%) say they would rather clean the bathroom than solve a math problem. So if math is really that scary, why bother to learn it, right? Kelly T King, an educational consultant, discussed about three reasons why students hate math in her article published on HuffingtonPost. I very much agree with her that ‘nurture’ plays a bigger role in causing this fear and anxiety among children towards math. I think all children are born with curiosity on everything around them. Including numbers, shapes, patterns, measurements; MATHS. It’s often when they actually sit on class and being hurried to understand the abstract concepts of it, then it becomes a pressure. When they are not given enough chance to see and understand the real maths around them, they could hardly enjoy it anymore. This article defines math as the science that deals with the logic of shape, quantity and arrangement. Math is all around us, in everything we do. First thing, we need math, because it help us going through day to day activities better. In the morning you need to know what time you had to wake up, so you won’t be late for school. Know how to read time, is math. On the way if you’re taking bus to school, you had to know how many stops before you need to alight. Know how to count, is math. During your lunch break in the canteen when buying a meal, you had to know how much money you need to pay. Know your notes and coins, is math. When teacher gives you a bag of candies and asked you to share equally to all students in class, that’s math too. At home when you want to help your mom making that warm chocolate milk, you had to know how much sugar, chocolate powder, and milk to mix. Have you tried putting in too much cocoa powder in your drink? Taste awfully bitter! Knowing how to measure a proportion, is math too! 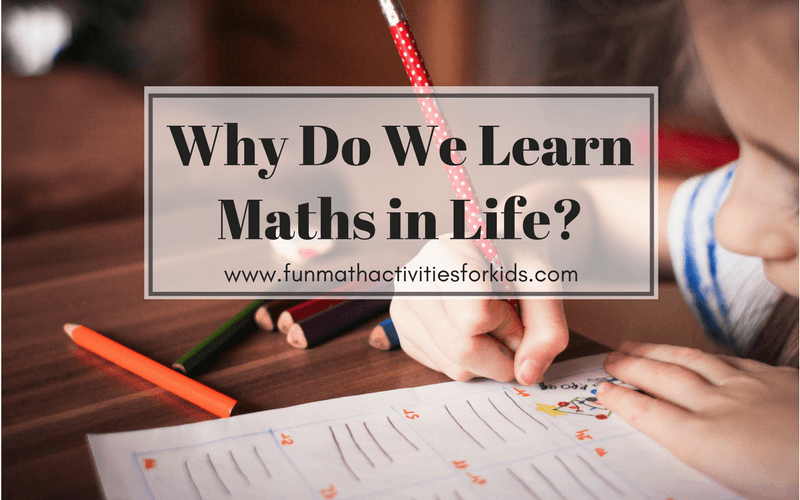 So why do we need to learn maths, really? Math helps us to be more organised in our way of thinking. Math is the language of logic. Math is an ability to find pattern among seemingly chaotic conditions. Concept of sequence, for example, actually trains our minds to think in a more systematic and logical manner. In adult life, when facing with a big project, we’d learn how to divide it into smaller chunks of tasks, and then deciding which part should be finished after which. Without realising it, we’re using math concepts. Math promotes patience and carefulness, attention to details. Everyone knows you have to be patient and very careful doing math problems. So you don’t miss a step, and so you’re able to actually solve the problem until the end. This too is an important ability to support us in our grown up life. It teaches us endurance in overcoming life’s challenges. Basically kids understand better when they’re seeing it, hearing it, and doing it altogether. They will benefit more when we encourage them to do hands-on activities in teaching them math concepts. And it doesn’t have to be with some expensive ‘educational toys’. 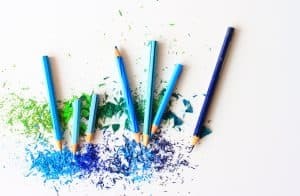 You can make use of many daily objects to teach math at home. popsicle sticks, the top of my list. I used both the plain ones and color ones. 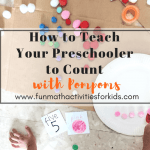 They’re great for counting, learning sequence, making shapes, making puzzles, etc. 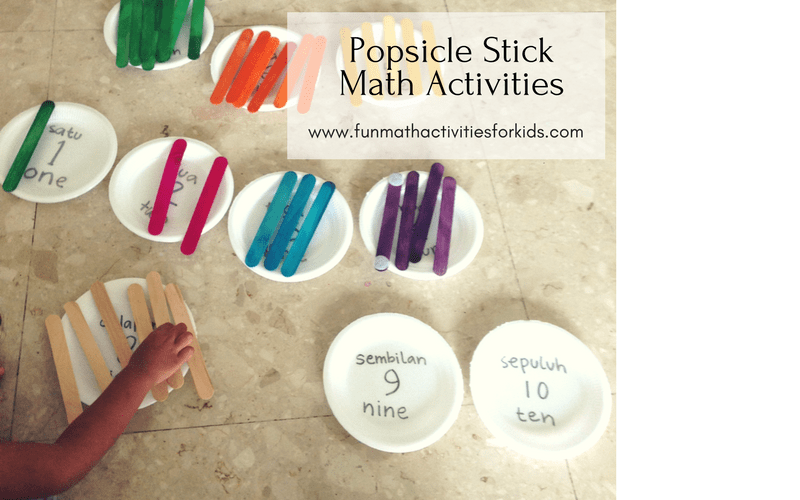 You can read my post on counting to 10 with jumbo popsicle sticks here. paper plates (or you can use any kind of disposable paper/bowls). These are great as containers, to act like spindler box Montessori style, to use in sorting colors/shape/numbers. They’re also good to make into a clock. wooden blocks or legos. Counting, color and shape recognition, even fractions. Another favorite of mine at our home is this wooden dominos. 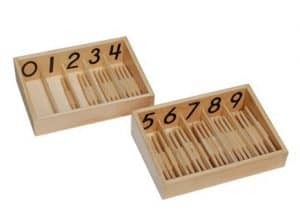 This is a perfect Montessori’s number rods’s spin-off! Read my post on using wooden dominos as number rods alternative here. beans, or rice. 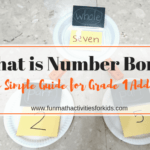 Bigger beans are great for counting (number bonds are easier with this! ), rice or other small things are good for pouring practice for measuring. Sometimes I would prefer this instead of pouring water in my living room. Speaking about preference on cleaning up after. Lol. Any kinds of containers and used plastic bottle you can find in your kitchen. Enough said. Read math stories to them! For my kids, reading books makes deep impact on the stories and values behind it. There are some children books which tells stories as well as math concept. This is different from informational books on math. The latter usually only tells them about number, counting to ten, examples of shapes, opposites, and so on, without a story plot. They’re still good books, but sometimes kids get bored easily on that types. But not so if the books are really having a story. Two of our favorites are the famous board book “The Very Hungry Caterpillar“, or this “Curious George’s Opposites” (psst! 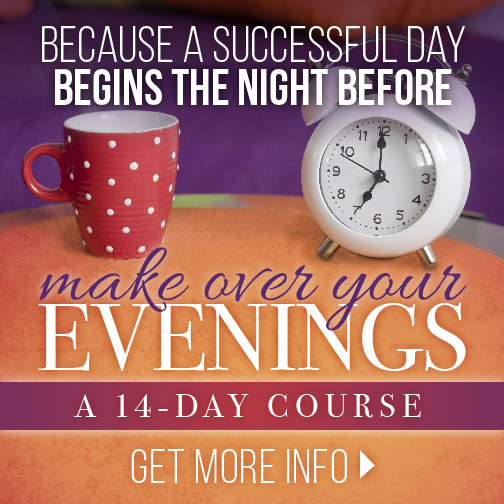 You might want to save and get this Learning with George books set). How about you? 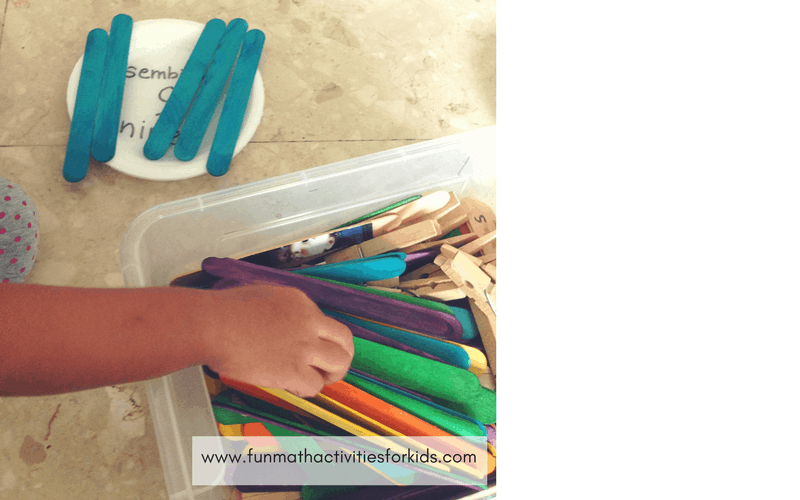 Do you have your own favorite at-home materials to use for play, or favorite math story books? Let me know! 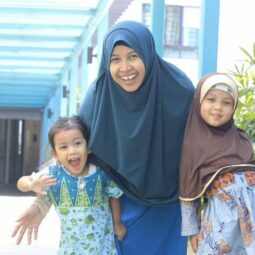 My name is Dieni, the founder behind Fun Math Activities For Kids. 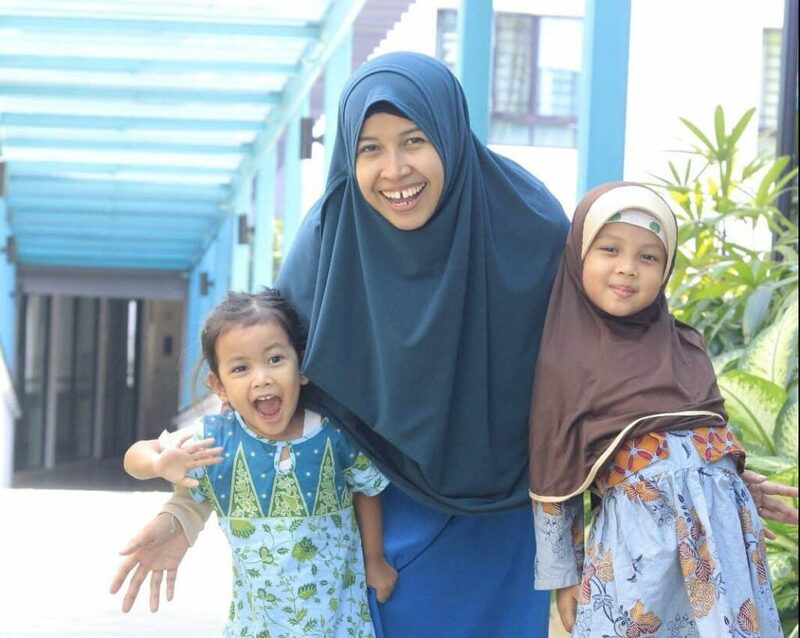 A wife, and a mom of two daughters aged 3 & 6. My little family lives in Singapore. I studied Computer Engineering in my college days, and I used to work as an IT analyst in inland revenue for 8.5 years. I married to an IT network engineer (no, he was not my colleague), who is an amazingly supportive partner and a hands-on father. Now I stayed home managing the household, while nurturing our two little stars. Fast forward to today, my eldest girl is now in Kindergarten 2 and she will be a first grader starting from January. All is well. I thought I can leave ‘studying’ matters to her school and teacher alone. And I can just sit back and relax (Oh, I mean, then I can take care the rest of other house stuffs. Ha! ), and just let her catching up in school on her own pace. Both my husband and me are not really obsessing about our kids had to be the top student in class, or something like that. But then came the primary school prep phase. Worksheet after worksheet. My little girl, who previously would be excited in playing with numbers, shapes, and patterns, now seemed to pull herself to the corner every time she saw math equations on her papers. She lost her enthusiasm and confidence. Only then I realised, I might do something wrong. Or, I might insufficiently do something. I didn’t take enough time to let her learn WITH me. Then I tried to find other way to teach her math. Through hands on activities. Putting the abstract concept of numbers to concrete, use different things at home that she can actually hold, see, and count. Slowly she regained her confidence back. The biggest two things I would fear of on my kids are, if they aren’t becoming God-loving ones, and if they loathe learning. I believe good education starts from home. And I believe an enjoyable learning is important when we want to raise a child to be an independent learner, to love learning, for the rest of his/her life. 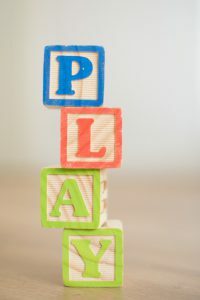 That is what I want to share here on the website, the ideas and inspirations on how parents can take parts in instilling the love of learning math, through hands-on, easy, playful activities that can be done at home. Of course, I am too still in the long learning journey of this process. So if you ever need a hand or have ay questions, or even any suggestions, feel free to leave comments on any of my posts and I will try my best to read and reply back to you. Enjoy!